The Sierra goes on sale this fall. 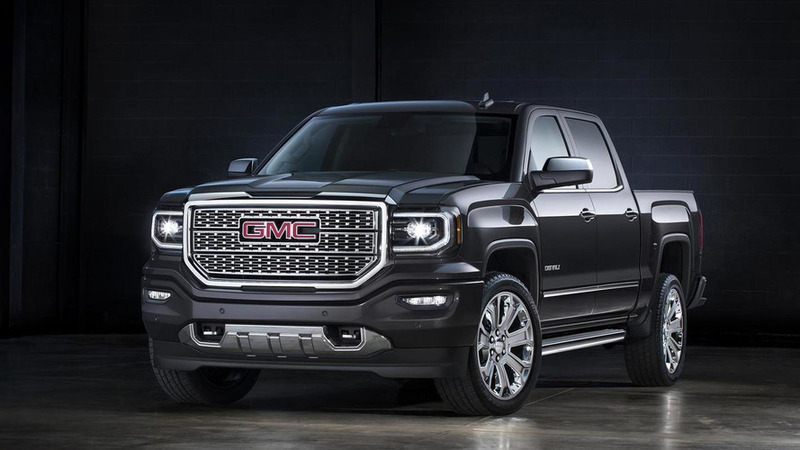 Since GMC introduced the new 2019 Sierra 1500 back in March, the automaker has done a remarkable job keeping its new pickup in the news. 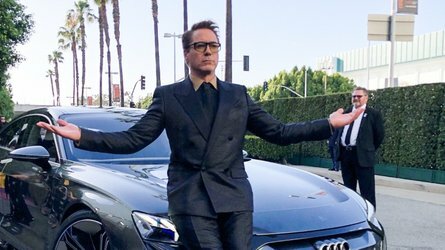 The truck does offer the industry-first carbon-fiber truck bed. 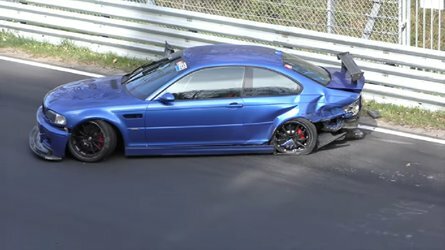 Then, we caught a glimpse of the cheaper SLE trim out testing – a trim we haven’t officially seen yet. After that, GMC dropped some off-road awesomeness with the 2019 Sierra AT4 – with the suffix set to become a trim option for every GMC vehicle in the brand’s portfolio. 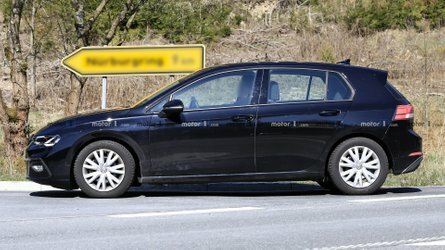 Spy photographers have now captured the base Sierra running about, and it certainly looks entry-level when you put it up against the Denali or AT4. 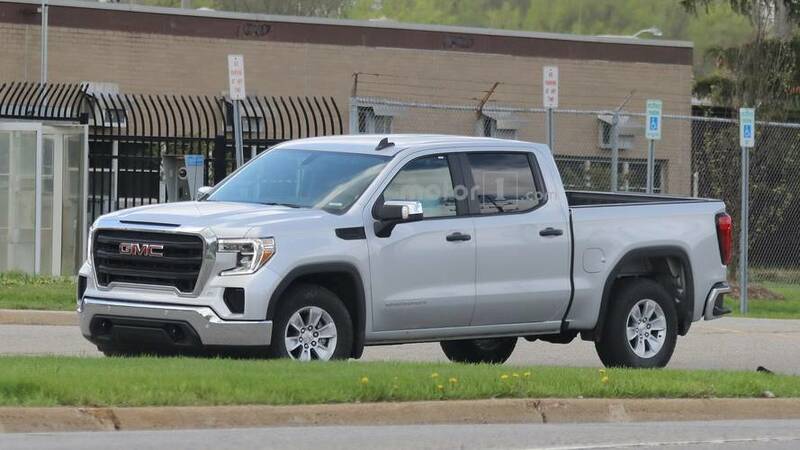 From the looks of it, to get your base Sierra, you take an SLE trim and remove some shiny chrome bits from the grille inserts, window surround, door handles, and funky-looking faux fender badge port – and voila, you have your base GMC pickup truck. There’s black plastic everywhere. Even as an entry-level truck, the GMC still wears the chrome front bumper, chrome grille surround, chrome mirror caps, and chrome rear bumper with the integrated steps. The 2019 Sierra will come in a variety of cab and bed configurations, as well as with two- and four-wheel drive. Under the hood, the Sierra will either be a 5.3-liter V8 paired with an eight-speed automatic or a 6.2-liter V8 equipped with the new ten-speed automatic gearbox. 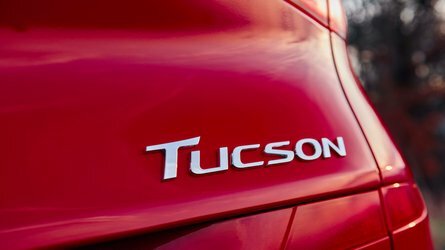 While the 5.3-liter has the same displacement as last year’s pickup, GMC says the engine is new. The current engine produces 355 horsepower. Expect a power bump with the updated mill. The Sierra pickup is important to not only the brand but GM as well. 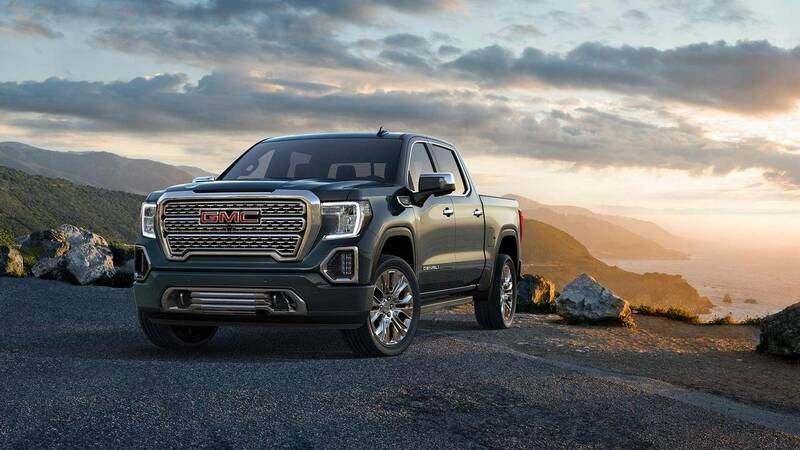 The redesigned Sierra comes after Ram announced the all-new 2019 1500 and Ford introduced a refreshed F-150 for the 2018 model year. 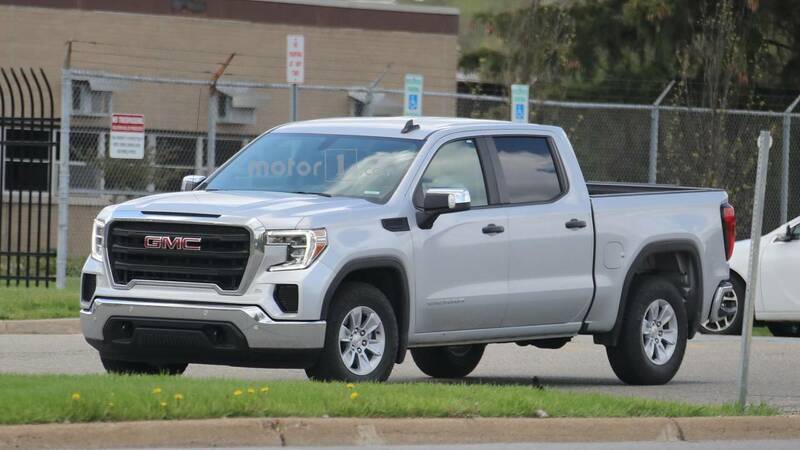 The 2019 GMC Sierra goes on sale later this year, so between now and then, we should receive official photos and information and of all the truck’s trims. The base Sierra starts at just under $30,000. 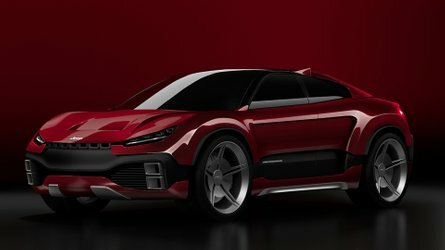 Price for the 2019 model should increase slightly across the board.